If you've been following my blog from the very beginning, you might remember my dear friend Kasey from the night I made her Delicata Squash Pasta recipe, or from her visit last month when we had an amazing dinner at NOPA. Kasey and I were paired as roommates in Barcelona, and quickly became joined at the hip for most of our time in Europe. Although she now lives in Chicago, we still share our love of cooking through our blogs. (Click here to check out her fabulous food blog, Chow Bella, and to learn more about her Chicago-based company, Culinary Gatherings). For her guest post, Kasey made a fabulous-looking stuffed veal...with the option of using chicken as well. I'll let Kasey explain from here, but it doesn't get more authentic than this dish. Enjoy this taste of Italy! Last fall I followed a dream to move to Italy and take in the culture and culinary traditions of the amazing country. Before the move, I was running a restaurant in San Francisco and got extremely burned out. I started to look at food with resentment because it symbolized long hours, heavy lifting and lack of sleep. I needed to renew my love and passion for food by immersing myself in a culture that looks at food differently. I moved to Italy without a job, place to live or secure plan. 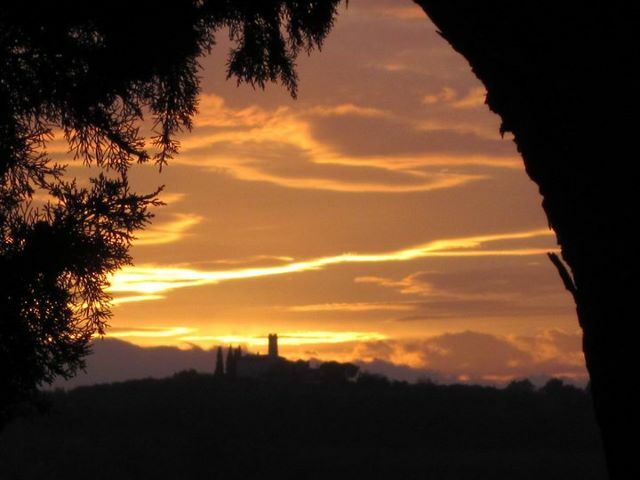 The four months I lived in Tuscany were magical. I found a lovely apartment in Pisa with a nice Italian gentleman and made it my mission to be around food everyday. I went to the farmer’s markets in the mornings and bought fresh produce, exotic fish, stinky cheeses, crusty bread, and pretty much anything else that was seasonal and enticing. 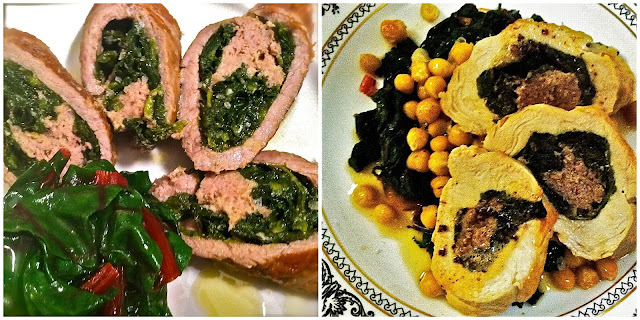 I cooked all day long and hosted wonderful dinner parties on weeknights for local Italians. 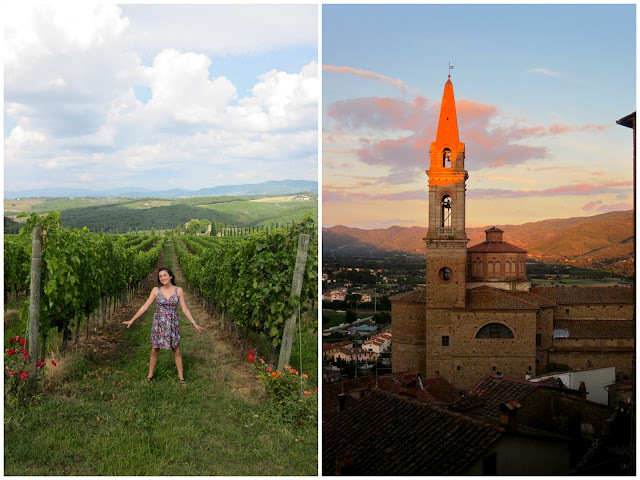 Other days, I traveled to different regions in Tuscany to explore. I cooked with Italian grandmothers, worked on a goat cheese farm, made wine and discovered wonderful specialty ingredients. The most rewarding part of the experience were the incredible friendships I developed with Italians who welcomed me into their home and introduced me to new ways of thinking about cooking and life. The following recipe is one that I cherish and feel honored to share with you. This recipe comes from the Italian grandmother of my dear friend Cristiana who lives in the Chianti region of Italy. This past Christmas, Bruna, Cristiana’s grandmother, made this dish for her extended family for Christmas dinner. She used rabbit, a Tuscan delicacy, but I adapted the recipe using ground beef to be more practical. I serve this dish as it would be in Italy, with stewed white beans and sautéed greens. The cooking technique and flavors in this dish are unlike any I have tasted in the states. I hope you enjoy it as much as I do! In a large sauté pan, heat 1 tablespoon of extra virgin olive oil. Add one chopped clove of garlic and sauté for 20 seconds. Add half of the spinach and sauté, stirring constantly, for 1-2 minutes. Set the wilted spinach aside and repeat the process with the rest of the garlic and spinach. When the spinach has cooled down, squeeze out the remaining liquid. In a medium sized metal bowl, mix the ground beef, eggs, and Parmesan cheese with 1 teaspoon of kosher salt and ¼ teaspoon freshly cracked pepper. Individually season the veal scallopini with salt and pepper on both sides. Layer each piece of veal with sautéed spinach. Divide the meat filling evenly among the four pieces and spread it evenly down the center of each scallopini. Roll each piece in a spiral from wide side into the center and around. 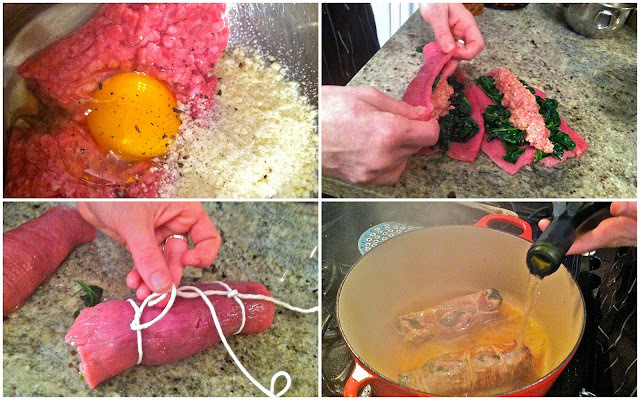 To tie the veal together, start at one end and position your first knot to keep these loose ends tucked. Once you tie a knot, stretch the string down the meat one inch and hold it in place with your thumb. Loop the string around the veal again. Lift the piece you’re holding under your thumb, and tie another knot. When you’re done, the veal will look like a chain of two or three knots. Sprinkle the outside of the each veal roll with flour. Put a large pot on the stovetop over high heat. Add 2 tablespoons of olive oil and wait 20 seconds. Add the veal rolls and sear over high heat for 2-3 minutes, turning them after 1 minute. Add the white wine, bring it to a boil and cover the pot with a lid. Cook over low heat for 1 hour. Remove the veal rolls from the pot and let them cool for 3-4 minutes. At the same time, reduce the wine sauce in the pot. When the veal has cooled down a bit, cut the twine off each piece and slice the large pieces into 2” spirals. Serve on a platter drizzled with the reduced wine sauce. Also, if you're not a fan of veal, this recipe is delicious with chicken! In a large sauté pan, heat 1 tablespoon of extra virgin olive oil. Add one clove of garlic and sauté for 20 seconds. Add half of the spinach and sauté, stirring constantly, for 1-2 minutes. 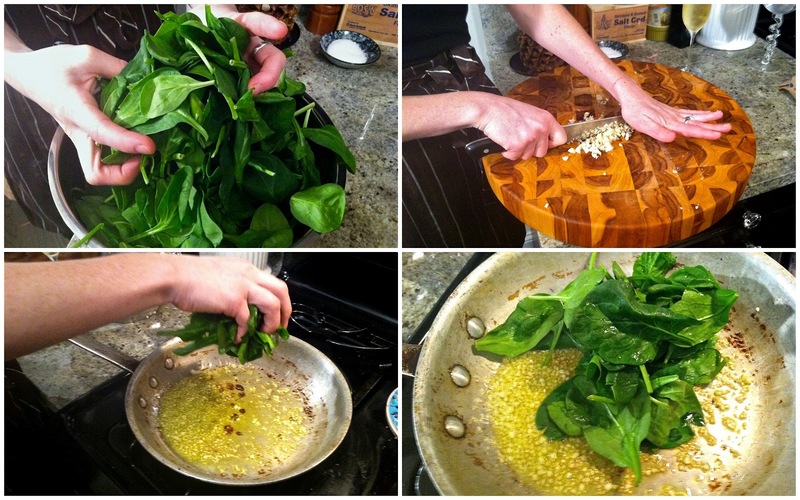 Set the wilted spinach aside and repeat the process with the rest of the garlic and spinach. When the spinach has cooled down, squeeze out the remaining liquid. In a medium sized metal bowl, mix the ground beef, eggs, and Parmesan cheese with 1 teaspoon of kosher salt and ¼ teaspoon freshly cracked pepper. Individually season the veal scallopini with salt and pepper on both sides. Layer each piece of veal with sautéed spinach. Divide the meat filling evenly among the four pieces and spread it evenly down the center of each scallopini. Roll each piece in a spiral from wide side into the center and around. Remove the veal rolls from the pot and let them cool for 3-4 minutes. At the same time, reduce the wine sauce in the pot. When the veal has cooled down a bit, cut the twine off each piece and slice the large pieces into 2” spirals. Serve on a platter drizzled with the reduced wine sauce. *You can secure the veal rolls with toothpicks if the twine seems too advanced. I love cooking with Kasey, any way I can. She has introduced the heartland to culinary wonders. Now, that includes you and this blog. THANKS! So glad you found my blog! Kasey is the best.